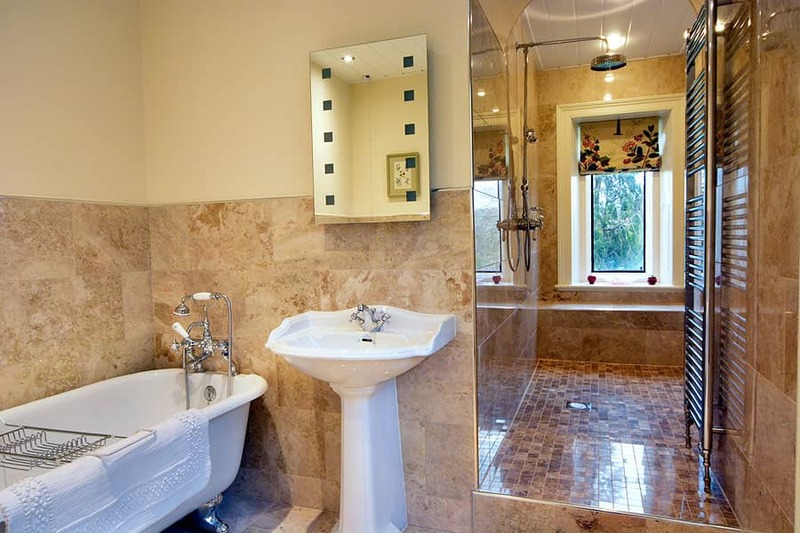 Warm & welcoming with striking feature bathroom. 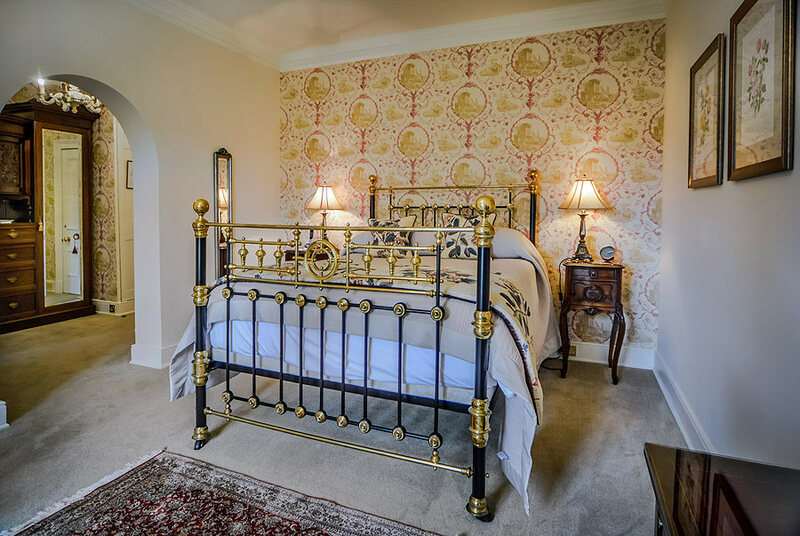 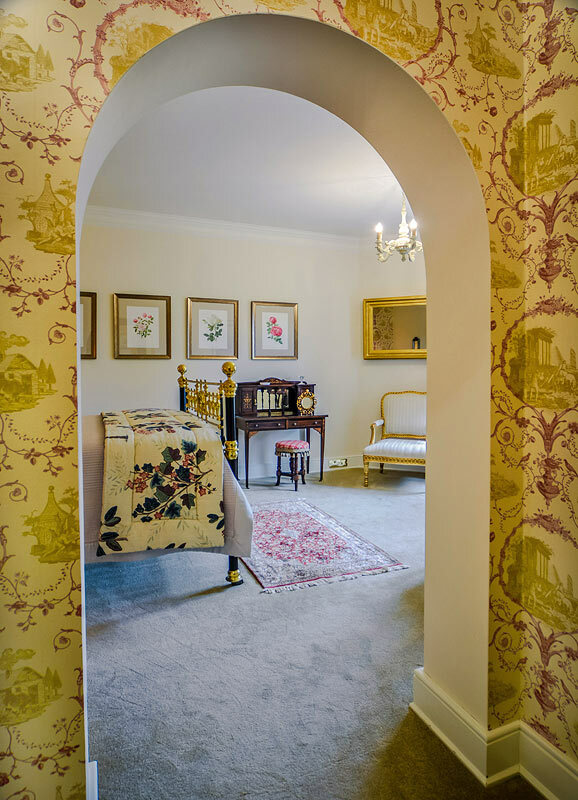 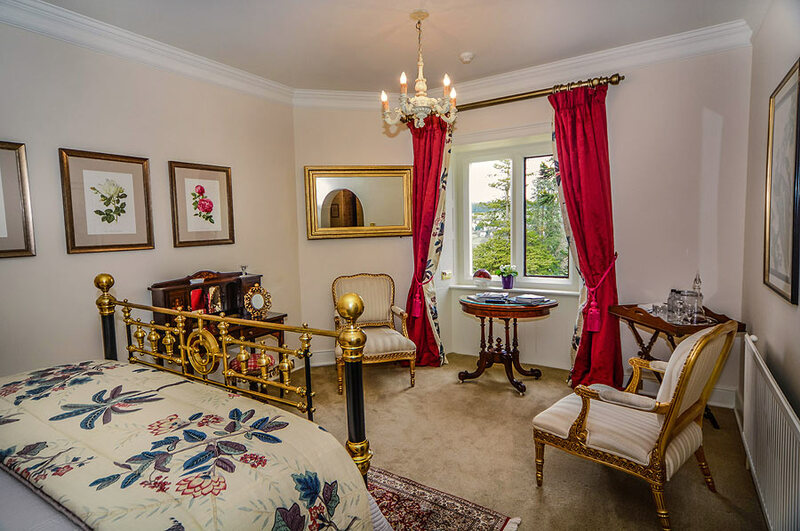 Dolbarden is a lovely warm room with views across the walled garden and the Dee valley. 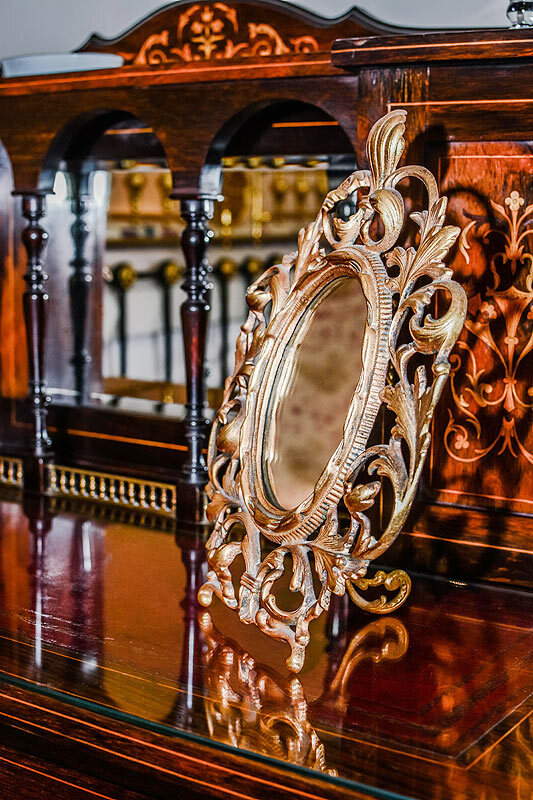 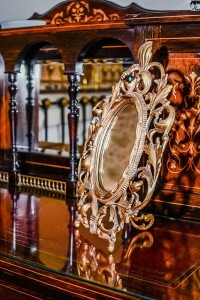 It is notable for an impressive carved wardrobe. 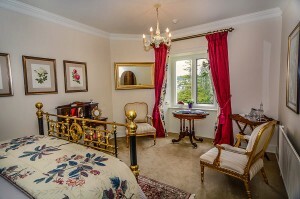 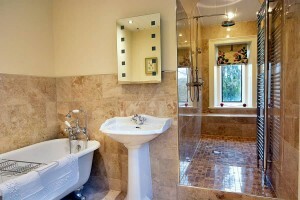 A key feature of this room is its large marble bathroom with slipper bath and wet room shower.